WikiLeaks co‑founder Julian Assange has appeared in court in London after his arrest and found guilty of failing to surrender to the court. 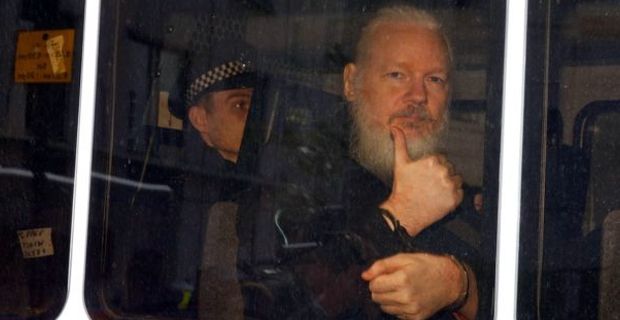 He was arrested by British police after Ecuador withdrew its asylum which had allowed him to take refuge in the Ecuadorean embassy in London for the last seven years. He was found guilty at Westminster Magistrates' Court of failing to surrender to the court. He now faces US federal conspiracy charges related to one of the largest ever leaks of government secrets, and the prospect of extradition to the United States. The UK will decide whether to extradite him in response to allegations by the Department for Justice that he conspired with former US intelligence analyst Chelsea Manning to download classified databases.